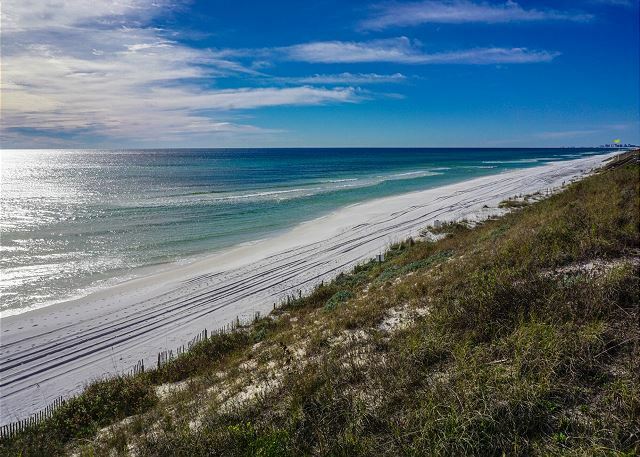 When you visit Florida’s Emerald Coast, you’re never far from something exciting to do. Plan to spend at least one afternoon exploring The Village of Baytowne Wharf! If you’re in the mood for some retail therapy, freshly caught seafood, and live music, it’s an incredibly fun and relaxing place to be. The Wharf is just one of many family-friendly things to do on 30A. Be sure to access our complimentary Vacation Guide for more top attractions in the area! If you’re staying at a San Remo or Adagio condo, The Village of Baytowne Wharf is a short 20-minute drive away. Once you’re there, stroll at your leisure through the shops and boutiques. From upscale ladies’ clothing and gifts to fishing gear and souvenirs, there’s something for everyone here. If hunger strikes, stop by one of the many delicious Baytowne Wharf restaurants! Dine on a sizzling steak at Marlin Grill or have a beer and take in the sights at Lazy Gecko Deck Bar. Love nightlife? Visit the New Orleans-themed Fat Tuesday Daiquiri Bar. The possibilities for fun are endless at The Wharf! Wednesdays in April, 7-9 p.m.
Bring a lawn chair or a blanket to enjoy some local live music this summer. Come out to The Wharf and enjoy live music, family-friendly activities, fireworks, and more! Tuesdays in July, 7-9:30 p.m.
Gaze upon the night sky of Baytowne Wharf as fireworks explode in dazzling displays over the lagoon! This Independence Day celebration includes lawn games, inflatables, kids’ crafts, and face painting. There will also be a fireworks display! August 30-September 1, 5-10 p.m.
Don’t miss this annual art walk held on Labor Day weekend. Enjoy the work of regional and local artists, as well as live music! Stay With Your Friend at the Beach! A stay with us means being close to fun places like The Village of Baytowne Wharf. When you’ve had your fill of excitement out on the town, come back and unwind in a condo that overlooks the beautiful emerald waters of the Gulf. Our condos have fabulous views, inside and out! All are decorated in light, airy, and beachy colors that invite you to relax from the moment that you step through the door. 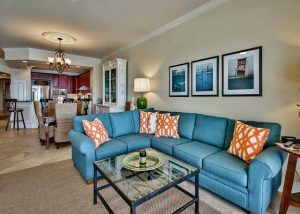 Our lovely Adagio 403 Condo is on the top floor and features amazing views of the Gulf and surrounding beach. This means that you can enjoy stunning sunsets right from your own private balcony! This condo is ideal for larger groups—it can comfortably fit up to 10 people. It has all the amenities you’d expect from a luxury condo, and then some! Our sheets are high thread count and our towels are 100% cotton. These are just a few of the fantastic amenities available in our rentals! If you’re ready for the ultimate beach getaway, book a luxury condo today! We can’t wait to host you and yours very soon. If you liked learning about this fun spot, you’ll love reading about the best wine festivals on 30A and our favorite 30A communities!